This began as an excuse to use my new Dr. Ph. Martin’s concentrated watercolors. Wow, the colors are saturated and vibrant! And a little goes a long way. 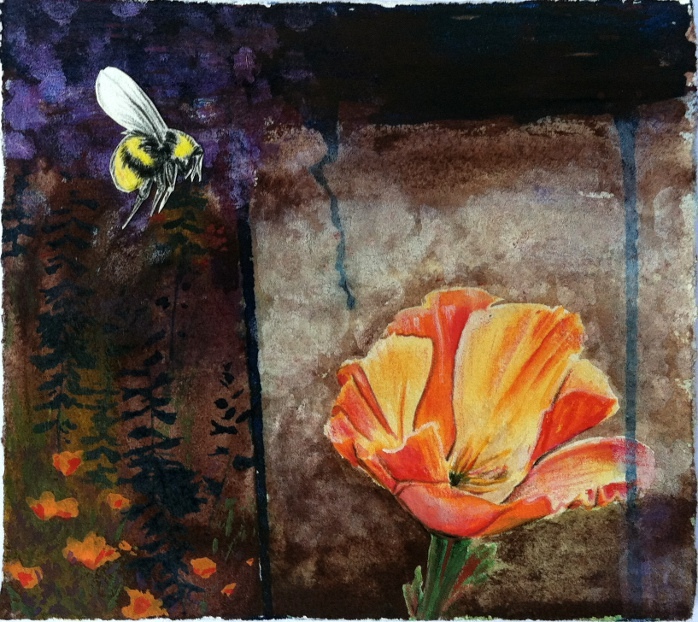 I realized it needed a bee with wings as white as untouched paper; unfortunately, I had already painted in that area. So, I drew one on a separate sheet of paper and cut him out. This collage process with thick cut-outs of nature is similar to what I did in the underwater paintings here.